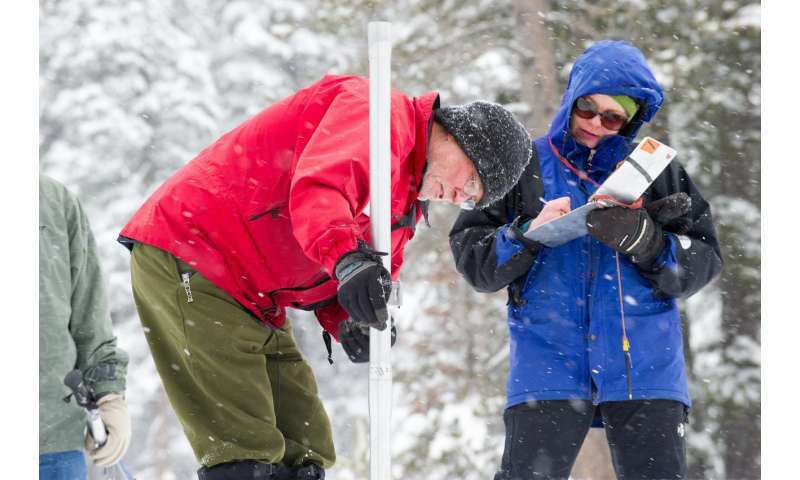 Frank Gehrke, left, of the California Department of Water Resources, measures snow levels in the mountains of El Dorado County, California. New NOAA research shows the potential to predict snow levels a season in advance. Credit: John Chacon / California Department of Water Resources. As farmers in the American West decide what, when and where to plant, and urban water managers plan for water needs in the next year, they want to know how much water their community will get from melting snow in the mountains. This melting snow comes from snowpack, the high elevation reservoir of snow which melts in the spring and summer. Agriculture depends on snowpack for a majority of its water. Meltwater also contributes to municipal water supply; feeds rivers and streams, boosting fisheries and tourism; and conditions the landscape, helping lessen the effects of drought and wildfires. Now, new NOAA research is showing we can predict snow levels in the mountains of the West in March some eight months in advance. This prediction can be down to the scale of a mountain range, which will improve regional water forecasts. "In summer when people are thinking about 4th of July fireworks and barbeques, long before the first snow has fallen, our experimental prediction system tells us what the following March will be like," said Sarah Kapnick, a physical scientist at NOAA's Geophysical Fluid Dynamics Laboratory who led the research that appears online today in Proceedings of the National Academy of Sciences. "Advances in global climate models and high quality ocean, atmospheric and land observations are helping us push the frontiers of snowpack prediction." While we have long range climate predictions that show a decline of snowpack by the end of the century and short-range rain and snow forecasts, until now there has been little information on what to expect in the next two months to two years. In its early stages and not yet ready to deliver operational forecasts, the research has the potential to improve a range of water-related decisions affecting warm weather water supply, wildfire risk, ecology and industries like agriculture that depend on water from melting snowpack. NOAA's experimental predictions were accurate for much of the West except in the mountains of the southern Sierra Nevada. The infrequent and chaotic nature of precipitation-producing storms in the mountains stretching from California to Washington have long been a challenge. 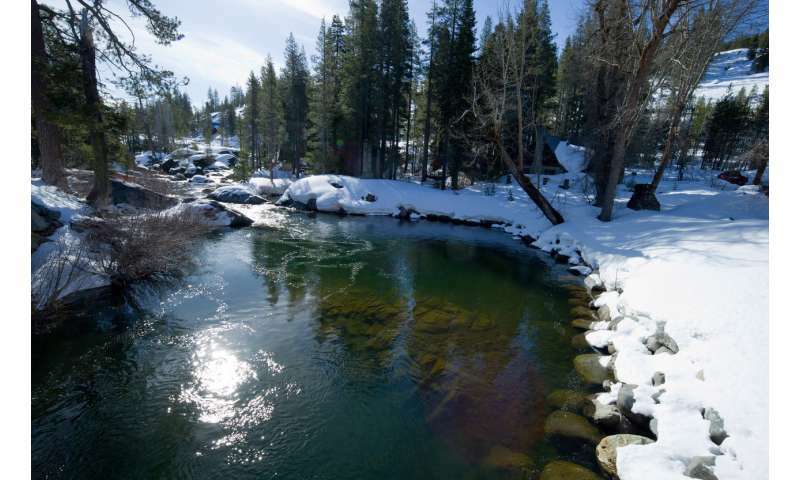 "Having seasonal snow forecasts would be a tremendous boon to water managers," said Frank Gehrke, chief of the California Cooperative Snow Survey Program in the state's Department of Water Resources. "I'm not surprised prediction is running into difficulty in the Sierra Nevada but I'm hopeful the work we're doing now to improve data from this terrain will help improve prediction here." While better prediction of water resources has always been a priority in the West, the recent prolonged drought from 2012 to 2015 and the devastating 2017 wildfires have raised the stakes. The Weather Research and Forecasting Innovation Act of 2017 passed by Congress and signed by the President also identifies improved snowpack prediction as a national priority.